A large display of black and white photos. Image credit: Karen / Flickr. Licensed by CC by 2.0. 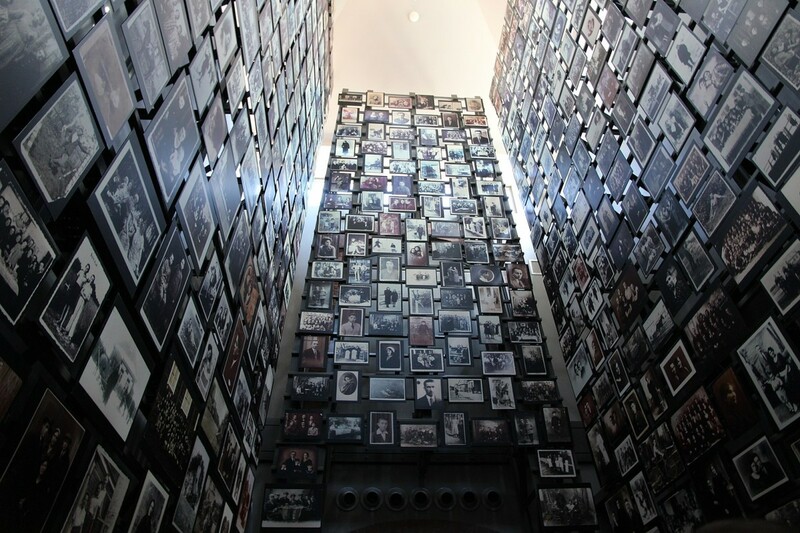 Since it opened in 1993, millions of people have visited the Holocaust Memorial Museum in Washington, D.C. How does their experience compare to that of visitors to other Holocaust museums, such as the Yad Vashem in Jerusalem or the Jewish Museum Berlin? Jennifer Hansen-Glucklich is the author of Holocaust Memory Reframed: Museums and the Challenges of Representation. Amy Milligan’s research on marginalized Jewish voices has taken her to some unexpected places. But even Milligan was surprised to find herself in Selma, Alabama, a city known more for civil rights than for synagogues. Commodore Uriah Phillips Levy, the first Jewish American to reach that rank in the United States Navy, is also an unsung hero of U.S. history. Melvin Urofsky says Levy rescued Thomas Jefferson’s Monticello from ruin. The “Golem” is a fictional creature of Jewish legend. David Metzger says it was also the inspiration for The Sorcerer’s Apprentice and Mary Shelly’s Frankenstein. Don’t miss out on 12 days of listening to our favorite episodes! Holocaust Memory. Download printable transcript in PDF format here. Sarah McConnell: Jan Tomasz Gross is a Polish-American historian at Princeton University. He did not mince words speaking about Poland’s new law that would criminalize mentioning the complicity of the Polish nation in the crimes of the Holocaust. Jan Tomasz G.: The Polish authorities want to gag any debate about the complicity of many Poles in the persecution of the Jewish fellow citizens. And of course they will be the ones who determined what the facts are. I’ve read many hundreds of survivors testimony. Under this law virtually every Jewish survivor of the Holocaust from Poland would have to be prosecuted. Sarah McConnell: In fact, the Polish authorities opened a libel suit against professor Gross and tried to strip him of an Order of Merit award he’d received from the government. Jan Tomasz G.: Jews felt threatened again as Holocaust survivors life stories made them targets of the Polish government. Sarah McConnell: From Virginia Humanities this is With Good Reason. I’m Sarah McConnell. Today a look at how different countries commemorate the Holocaust. Later in the show, how the five remaining members of the Jewish community in Selma, Alabama maintain their faith. But first, millions of people have visited the Holocaust museum in Washington DC since it opened in 1993. How does that experience compare to two other major Holocaust museums? Sarah McConnell: The Yad Vashem museum in Jerusalem for the Jewish Museum of Berlin. Jennifer Hansen-Glucklich is a professor of modern languages and literature at the University of Mary Washington. She is the author of Holocaust Memory Reframed: Museums and the Challenges of Representation. Jennifer, you looked in particular at the Holocaust museums in Washington, Jerusalem and Berlin. The museum in Berlin fascinates me the most because how does Germany tell its Holocaust story when the crimes are so large? Jennifer H.G. : Yes, and that’s been a huge challenge in Germany is how does a nation deal with its own crimes? How does it represent itself as a perpetrator? One of the techniques that the Berlin museum uses and you see this all over Germany and Austria too, is that museums tend to focus on the Jewish story and their country as being much more than the Holocaust. Jennifer H.G. : They tell the Holocaust as part of the story of Germans and Jews not as the story. They integrate it into a larger story and that’s one of the ways that they deal with it. Another way that they try to deal with it is that they try to tell the story very much from the point of view of the victims and this is very important to give them back their voice. Sarah McConnell: But you think about how hard this is for individuals, whether we commit atrocities, sins, or misdeeds, it’s hard for us to admit anything. How do you as an entire people, especially as a people generations later, really own up to the sheer horror of it. Jennifer H.G. : I mean, and in some way I would say that they don’t own up to the sheer horror. Sarah McConnell: Or you think of America and you think of America, native Americans or the South. Jennifer H.G. : That’s right. It’s always a series of steps I think coming closer to sort of facing up to our history. It depends of course a lot on the next generations that come up. For young Germans today, it’s not that they bear the guilt of what their relatives, or their forefathers did, but they do bear a responsibility to remember what happened and to ensure that that doesn’t happen again. Sarah McConnell: What tends to be the sentiment in Germany about the Holocaust? Is there discussion of it in popular culture? Jennifer H.G. : Well, that’s really interesting. One way to think about it is that there’s a lot of levels of memory. There is public memory, official memory where you get these big memorials like the Memorial to the Murdered Jews of Europe right in the center of Berlin and it looks like the whole country is doing penance. Then there’s educational memory in the school. There’s the teaching of the young people about what happened, how it happened. Jennifer H.G. : But then you also have what’s called private memory, familial memory and that tends to be more conservative a lot of times. So for example, right after the war, as official memory began to really talk about and pay attention to the Holocaust, private familial memory was still focused on how Germans suffered the bombardments by the allies. When you talk about memory in Germany, there’s really a lot of different layers of memory. Sarah McConnell: Now, is there controversy focused over new museums being erected in Eastern Europe? Jennifer H.G. : There are. It’s actually a really sensitive issue right now in countries like Poland and Hungary for example, they’re trying to put together new museums to show the story of Jews and their countries. These are two countries with very complicated histories with their Jewish populations. Poland, Warsaw already has a Jewish museum, but now they are planning a Holocaust museum in Warsaw. Jennifer H.G. : But the problem is how do you tell that story without also telling the story of Polish antisemitism which was very deeply rooted there long before the Germans arrived. But the official story, the story that the curators and some of the official hired historians are putting together is one that stresses that the Poles and Hungary, this is also the case, they love their Jewish neighbors and the Germans basically imported antisemitism. Sarah McConnell: Germans imported antisemitism, what do you mean? Jennifer H.G. : Well, there’s this sort of perception or this idea that they want to represent in the museum that basically Poland was a great country for Jews to live in, which in some respects was true, but that when the Germans started World War II and invaded that they brought with them Jew hatred and that’s when the trouble started between Poles and Jews. Sarah McConnell: Any truth to that? Jennifer H.G. : Well, I mean it’s certainly true that the Germans instigated World War II and it’s certainly true that of course the Holocaust was something that they planned and implemented. But it’s also true that it’s not an accident that all of the death camps were in Poland. It’s not an accident that they found it relatively easy to find collaborators in Poland. There’s a long history of pogroms, popular uprisings against Jews in eastern Europe. Jennifer H.G. : It’s the same case in Hungary where they’re putting together an exhibit now for a new museum. It’s going to be called The House of Fates in Budapest. There’s a lot of controversy over how to tell the story of the Jews in Hungary. There’s a fear among the Jewish community that they’re going to end up telling a story that makes it look as if Hungary was the most perfect place in the world for Jews and Jews were perfectly safe and happy there. No antisemitism until the Germans showed up. Sarah McConnell: What gave you the inspiration to look at three of these museums? Large ones, one in Berlin, one in Washington DC and one in Jerusalem. Jennifer H.G. : Well, it started because I spent a lot of time in Israel and my husband is Israeli and we go there a lot. I visited the new Yad Vashem and I was just blown away by it. It’s such a powerful place and it tells such a powerful story, but it’s a very Israeli story. The narrative really is from the Israeli point of view and it really leads you to certain conclusions that wouldn’t work in any other country. Jennifer H.G. : It’s in Jerusalem, which is of course a holy city. The very location, it’s next to what’s called Mountain Herzl which is a mountain where the national cemetery is where they bury all of the most important political leaders. This is key. The story in Yad Vashem is Zionist story. It’s a story about homecoming and redemption. It’s a story about Jews who lived in the Diaspora and what happened to them there and how they suffered. Jennifer H.G. : But now that Israel’s a state, the Jews have a home and something like this will not happen again. It is a home for all Jews dead and alive. You see it really is a story of homecoming and the museum ends with redemption. Sarah McConnell: Massively different from what you would get in Berlin. The museum to the 6 million murdered Jews. Where the message is more, this is who they were and now they’re gone? Jennifer H.G. : Yes, that’s right. The Berlin museum, what’s really fascinating about this place is that the architecture tells the story of loss. It’s a great zinc clad cement structure and it’s very modern and on the outside is the shattered Star of David and the architecture is all about twists and turns in gaps and voids. The whole museum, a third of it, is voided space. It’s literally built around absence. Jennifer H.G. : The story is Berlin in particular, but Germany as a whole has lost this part of its history, part of its soul, and we’ll never get it back. But then the permanent exhibition tells a different story. The permanent exhibition is Jews in Germany have a long history, Holocaust is a part of it, and that history continues. This is not the end. Two very different perspectives within one space. Sarah McConnell: Do you think attitudes for most American-Jewish citizens are towards Germany and even the notion of ever living in Germany again? Jennifer H.G. : Yeah, it’s interesting. It’s so mixed. I mean, I’ve talked to Holocaust survivors who say that they go back to Germany to visit and they love Berlin and then I talked to other people who don’t have any relatives who died in the Holocaust and they say I will never set foot in Germany. But I think there’s a recognition among American Jews that Germany has really come a long way in acknowledging its past and much more than Austria for example. Jennifer H.G. : Not just in terms of it acknowledging the Holocaust, but you really do see with Germany how much the country, how much the young people especially are really struggling to sort of come to terms, is the German term for it, coming to terms with the past, facing up to the past. Sarah McConnell: What by contrast you get from the Holocaust museum in DC? What is the message there? Jennifer H.G. : It’s interesting. The Holocaust museum in DC for an American is a place that makes you feel really good about being an American. It’s a story that’s told from the point of view of American liberators. The very first picture that you see in the permanent exhibition is a big photograph, a blown up photograph of Ohrdruf concentration camp in Germany which was liberated by Americans. You see the soldiers standing there looking at the carnage left behind by the Germans and you share their point of view. Jennifer H.G. : You’re looking at that with them, but you feel that you are on the right side. It’s very much a story about how the United States is the antidote to genocide, persecution, bigotry. The United States set up as the answer to fascism. The end of the exhibit you see stories of Jews who left Poland and Germany and immigrated to the United States and married their American-Jewish liberators. What could be more perfect solution to the problem of genocide and it is in the end ultimately a feel good story. Sarah McConnell: Is it missing anything? Jennifer H.G. : I think there’s definitely things that are missing. I think there’s too little attention paid to the failure of the United States to do more. For example, there’s a very small exhibit, at least otherwise last time I was there, on why Auschwitz wasn’t bombed, .. on the St Louis. There was a ship of Jewish refugees that was supposed to doc and enter the United States and it was forbidden entry and it was sent back to Europe and most of those people ended up dying in camps. Sarah McConnell: Would you be willing to walk us through Yad Vashem Holocaust museum in Jerusalem? Jennifer H.G. : Now, this is a quote from the book of Ezekiel from the Bible. Obviously this is a quote about homecoming, I will set you upon your own soil. And this sets the tone for the whole experience. And then as you move underneath this gate you come to a pavilion and then you get to a bridge and you cross the bridge. Again, thresholds. You literally walk into a mountain. You descend into the mountain and you go down into the ground. It’s very autoctonist. Jennifer H.G. : It’s rooted in the earth, rooted in the soil. You move through the museum, through 10 galleries and it’s dark, it’s kind of grayish. There’s very little light coming in from the skylights above. The passageway itself is designed to affect you viscerally. When you get to exhibits that are particularly painful and harrowing like the Auschwitz exhibit, the passageway becomes tighter and it goes down more. Jennifer H.G. : When you get to the end of the museum and you reach the final exhibit which is about the founding of Israel. In 1948 Israel becomes a state. When you get here, the passageway starts moving upwards. It starts opening up. When you finish going through the museum, you walk out onto a terrace in the sunlight. Suddenly you’re out in the open, you’re overlooking the Jerusalem hills. It’s this moment of freedom and openness and light and the feeling is redemptive. Jennifer H.G. : Whether or not you believe it, you feel it. It’s a visceral feeling. One of the most important rooms that I want to mention in Yad Vashem is a place called The Hall of Names and it’s a big circular hallway and it’s an archive and a memorial. Within it are some 600 photographs of victims, Holocaust Jewish victims and each photograph has a name and a few biographical details, date of birth, date of death. Jennifer H.G. : Remembrance is the secret of redemption and remembrance is also key and Jewish liturgy when you go to a synagogue. The Shabbat ritual, every Saturday, the Yahrzeit, a memorial ritual. It’s all about remembering the dead, keeping them present. This is very much the goal of Yad Vashem. Sarah McConnell: Do you think that when the US Holocaust museum was completed that there was a feeling of great optimism like we’re looking back and our main charge just simply how to talk about and how hideous that was and how we overcame it and how we must never go down that dark path again. Whereas now it feels like with a rise and increasing antisemitism, we may feel less optimism. Jennifer H.G. : I think that’s true. I think it’s also interesting to ask is there really a rise in antisemitism or is it just becoming more acceptable to be openly antisemetic? Sarah McConnell: And the social media chamber. Jennifer H.G. : Exactly. I mean, I think there’s always been antisemitism. Now I think it’s becoming in a strange way more acceptable to be openly antisemitic. I think that’s one of the things we’re seeing. I think one of the really good things about the Holocaust Museum in DC is that it recognizes that genocide is something that is still happening. In the first floor of the Holocaust Museum there are changing exhibits that they’re always changing. Jennifer H.G. : A lot of times they’re about contemporary genocide. For example, Darfur, Rwanda and they’ll have these exhibits. When I take my students to the Holocaust Museum, I make sure that they look at that and think about that, that this is not something that’s just in the past, this is something that’s still happening. Sarah McConnell: What sort of reaction do you see on the part of your students who have not before been to the Holocaust museum? Jennifer H.G. : They’re shaken. A lot of them are very shaken. A lot of times what they respond most strongly to is that I always arrange to have a survivor talk to them and tell them their individual story. That’s very powerful for them. The problem with the number 6 million is that it’s impossible to visualize. It’s so abstract. It’s so huge. It’s anonymous. When you can learn about one person’s story, that’s what really sticks. Sarah McConnell: What do your students seem to make of the Holocaust? Do they still feel that visceral horror and connection and need to make sure we never forget? Jennifer H.G. : Some of them really do. The more sensitive ones, the ones who are readers, the ones who really connect individually, the ones who have a lot of empathy and a lot of them do. Some of them do not. Some of them say this is distant history. This has nothing to do with me. Of course there have been other horrible genocides and catastrophes in history. But the one thing I try to explain to my students is that by keeping it alive, it’s not that we’re silencing other people’s stories. Jennifer H.G. : We’re not saying these are the only victims that matter. We’re saying that we have to keep the story alive because it teaches us a lot, not just about the past, but about our present. It helps us learn how to be vigilant, how to notice in our own society when we start going down a path that could lead to something like that. when you start treating people who are different as being less human, minimizing their rights. Jennifer H.G. : These kinds of attitudes still exist all the time in our society. And so I say, well, think of this as not just something that happened, but something that could always happen again. This threat is always with us and it could be in a different form, it could be a different people, but we have to stay vigilant to make sure it doesn’t. That’s one of the things that I try to impress upon them. Sarah McConnell: Jennifer, thank you for sharing your insights on this on With Good Reason. Jennifer H.G. : Of course, thank you. Sarah McConnell: Jennifer Hansen-Glucklich is professor of Modern Language and Literatures at the University of Mary Washington and is the author of Holocaust Memory Reframed: Museums and the Challenges of Representation. Selma, Alabama is a city known more for civil rights than synagogues. However, it once had a thriving Jewish community. Sarah McConnell: Amy Milligan is a professor of Jewish Studies and Women Studies at Old Dominion University. Her research on marginalized Jewish voices has taken her to some unexpected places. But even she was surprised to find herself in Selma meeting the last remnants of the Jewish community there. Amy, what is the history behind the Jewish population originally in Selma, Alabama? Amy Milligan: Selma has a really long Jewish history as much of the south does. The first Jewish settlers in Selma came in the 1830s and really built a thriving community there occupying most of the main downtown streets with their businesses, building a synagogue, and even creating their own social club, The Harmony Club. Sarah McConnell: Where did the earliest Selma Jewish residents come from? Amy Milligan: The earliest settlers were Sephardic Jews which means that they were from North Africa and Spain. About 10, 15 years later we started seeing Jews immigrating to Selma from Germany and then later from Eastern Europe. Sarah McConnell: How would they have known about America and why were they leaving those countries? Amy Milligan: Sure. Well, it was a really tumultuous time for a lot of Jews, especially in Eastern Europe. Jews were not able to own businesses anymore. They were being forced out of their properties and were facing significant violence. The United States represented this golden dream of opportunity and prosperity and economic security for them. Sarah McConnell: How would they know to come to Selma though? Amy Milligan: Well, some Jews came to the area because other Jews were already there. It was also right along the trade routes in the Black Belt of Alabama. There was a lot of cotton going through the area and it was a city where people could really grow their businesses. It made sense to go there because it was a prosperous city. Sarah McConnell: How do you think they were perceived by the White Christian community of the 1800s? Amy Milligan: They were able to really quickly assimilate. I think one of the things that was important for Jews in Selma at the time was to really show how American they were. That meant that they became a big part of the city. Selma had three Jewish mayors. They had Jews who were elected to their city council, their water commissioner, all different types of city roles because not only did they want to become Americans, they also wanted to become Selmians. Sarah McConnell: What was life like for the Jewish population of Selma at the time of the Edmund Pettus Bridge March and the Bloody Sunday that evolved there in 1965? Amy Milligan: Living as a Jew in Selma during that time was difficult because they were really divided as a congregation, much like most of white people in the south where. And so we saw some really strong segregationists in the congregation and a lot of folks who really believed that integration was the only thing that was a viable solution to heal America. They were fairly middle of the road to liberal, but certainly they had some voices that did oppose integration. Sarah McConnell: Did they fear retribution if they were to side with the African-Americans during the civil rights era? Amy Milligan: I think some of the local businesses did. Certainly they were worried about their businesses being boycotted. But as I’ve been interviewing folks, I hear a lot of stories that are really touching. From one family, someone that worked for them, when she was sitting outside of the courthouse trying to register to vote, the mother of the family went everyday with a sack lunch to give to her and to some of her friends who are there because she said no one should have to go hungry while they wait to register to vote. Amy Milligan: One of the women that I interviewed told me when she returned home from college during the Civil Rights era, she went down to the courthouse and stood outside and said, “If you’re not willing to register this person to vote, I’ll go in and I’ll tell them who my daddy is and I’ll give his name.” Of course her parents were like, “What are you thinking?” Because this is a really tumultuous time and you’re a young woman. She said, “Yeah, but I’ve been to college and now I know better.” And so she stood there for a couple of days and would try to go in and out with different people and make sure that they were able to register to vote. Sarah McConnell: At its height, at its peak, how large was the Jewish population of Selma? Amy Milligan: They had over 300 members at their peak. Sarah McConnell: Why did that thriving community eventually start to lose size? Amy Milligan: I think it’s really the story of the American dream. We’re talking about families who settled to build something for their children and when they educated their children, they said go on to college, I want you to have what I didn’t have. Don’t come back to the family store, go to one of the larger cities. Sarah McConnell: When did the population actually start to decline? Amy Milligan: It hit its peak in the late 1930s, early 1940s. It was still holding strong with over 200 members in the early 1980s and that’s when we really start to see the decline. Sarah McConnell: How many now would you say? Amy Milligan: There are fewer than 10. There are about five members right now still of the temple. Sarah McConnell: So only a handful of Jews left in Selma in the entire city? Amy Milligan: Right. There are larger populations of Jews in cities like Birmingham, but in Selma at least I think it’s not surprising because we’re seeing an aging congregation and they’re just facing some of the realities of what that means for them. Sarah McConnell: How hard it must be for this handful of people trying to maintain their synagogue and Selma with so few. I mean, do they even have a Rabbi? Amy Milligan: They haven’t had a Rabbi since the 1970s. 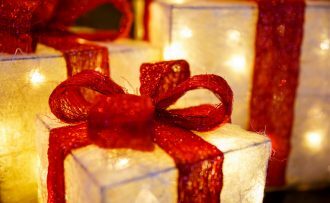 There’s members of the congregation who have stepped forward to conduct funerals, to help celebrate holidays and I think that there’s something really important about that because they spend time thinking about how they want to be Jewish and they think a lot about what does it mean to celebrate this holiday? What are the important parts of it and how do we pull them out so that we’re still in community with one another? It’s something that those of us who are in larger congregations don’t always have to think about. We can just arrive for the holiday and it’s taken care of for us. Sarah McConnell: What do you think first most resonated with you with this tiny Jewish community in Selma? Why did you relate so well to them? Amy Milligan: I kind of jokingly say sometimes that I didn’t pick this project, it picked me. I call them my Selma family now and so I can’t wait to go back. I have taken my husband, my mom’s about to go with me. It’s really a community that I feel very much invested in moreso than some of the other communities that I’ve worked with. I think that it’s not always the sad story that everyone wants to make it out to be. It’s actually a story of great hope. Amy Milligan: It’s a story of dreams and it’s the story of people who have really invested into their communities. They’ve woven themselves into the tapestry of what it means to be southern, what it means to be Jewish and what it means to be a southern Jew. We really have to take all of those things together to understand who they are. Sometimes those voices are even more important because they’re really grappling with the things that we’re dealing with as a nation and as a country. Sarah McConnell: Did anyone you interviewed ever talk about antisemitism there? Amy Milligan: I’ve asked that really directly in all of my interviews and what I found is that people have different answers like you would expect. By and large though almost everyone says that they really didn’t experience it as much until they moved away from Selma. That’s not to say that there wasn’t sometimes ignorance, but I think that you can expect that in any community when you belong to a minority religion. But by and large, there was a general acceptance of Jews in Selma. Sarah McConnell: Do you relate in any ways to their struggle to maintain the synagogue in the small community? Amy Milligan: Something that’s been really special for me is that there’s a connection now from my temple in Norfolk to this temple in Selma. And so we have all of these moments where, for example, if someone is sick that we’re able to add them to our list for praying for those who are sick or need healing. One of the women that I was speaking to said, “I tried to think about that sometimes on Friday nights because I do need some healing right now. You tell me what time you guys are worshiping so that I can know that some people are sending good vibes my way.” I think that there’s a really powerful story of community and connection that defies miles that are between congregations. Sarah McConnell: Amy Milligan is professor of Jewish Studies and Women’s Studies at Old Dominion University. This is With Good Reason. We’ll be right back. Welcome back from Virginia Humanities. This is With Good Reason. Commodore Uriah Phillips Levy was the first Jewish-American to reach that rank in the United States navy. Not only was he instrumental in eliminating the navy’s practice of flogging. Sarah McConnell: He also rescued Thomas Jefferson’s Monticello from ruin. The Levy family was instrumental in maintaining the estate right up to the beginning of the 20th century. Melvin Urofsky is a Professor Emeritus of History at Virginia Commonwealth University. He’s the author of the Levy Family and Monticello, 1834 to 1923 Saving Thomas Jefferson’s House. Melvin, do we know a lot about the early life of Uriah Phillips Levy? Melvin Urofsky: Well, we have a lot more information now than we used to, but there’s still enormous gaps in what we know about him. He was born in Philadelphia to a Jewish mercantile family, not rich, nor poor. Lived near the waterfront. Played there and was taken up as many boys are, although not usually little Jewish boys, into going to sea. He did and that was his home for the next 50, 60 years. Sarah McConnell: He actually ran away from him at a very young age. Melvin Urofsky: Well, he sort of ran away from home. His parents agreed to it and there’s an apocryphal story that when he signed onto his first merchant ship, he told the captain he had to be back in Philadelphia in time for his bar mitzvah. I think it’s apocryphal, but it’s a great story anyway. Sarah McConnell: Is it true he went away at age 10 or is that apocryphal too? Melvin Urofsky: He left at an early age but that would be the age that cabin boys would start with. If you’ve seen the Hornblower series on BBC and everything, that’s absolutely accurate. They took these little boys and put them on the ships and these became the officers of the future. Sarah McConnell: And he did go on to an illustrious career in the navy. Melvin Urofsky: Against all odds one might add. He was captured in the war of 1812 during which time he took the opportunity to learn French. He had a varied naval career. There were a number of court marshals all of which he was able to win. He wound up prior to the civil war in his last command being a commodore. Now, a commodore was the title given to whoever commanded a group of ships. Sarah McConnell: How does someone become commodore in the U.S. Navy after having been court marshaled on numerous occasions? Melvin Urofsky: Well, because he beats it each time and every time he wins it makes him that much harder to attack the next time. By the time he had been through the last court marshal, he was good as gold. Sarah McConnell: And why was he being court marshaled? Melvin Urofsky: Well, there are a variety of reasons. I would think antisemitism was initially a main reason. In fact, we do have evidence that a couple of the early fights that he got into the duels where because people called him a racial epithets. And then after got into the dual there would be a court marshal because dueling was illegal. Later on his policies, especially regarded flogging aroused a great deal of ire among many officers of the navy. Melvin Urofsky: We always flogged, why should we give it up? And so his policies and the fact that by abandoning flogging he apparently ran happy ships that performed well, this irritated a number of people. The last two court marshals were pretty much made up charges that he easily defeated. The very last court marshal he hired an attorney and they published the brief in the case which brought him an enormous amount of renown and made him just about bulletproof after that. Melvin Urofsky: When he demanded an assignment to sea, they couldn’t say no because he was so well known at this point and when in fact he wanted to take his wife along in unheard of liberty, they couldn’t say no to that either. He is the first and maybe the only U.S commodore to ever travel to the Mediterranean with his young wife in tow and she of course was the hit of the ship. Sarah McConnell: Levy had tremendous admiration for Thomas Jefferson. How did that come about? Melvin Urofsky: Jefferson is considered the father of religious liberty in the United States starting with the Virginia Statute for Religious Freedom. For Jews this meant a great deal. The two, if you want to, foundation documents for religious freedom as far as Jews are concerned in the United States or three or the Virginia Statute, the 1st amendment and Washington’s letter to the Newport congregation. Melvin Urofsky: Jefferson of course was the father of two of those and he had a hand in the third. He preached religious liberty. It wasn’t just something that he quietly believed. We have loads of documents. And even in his own time, Jefferson was seen as a champion of religious freedom. That’s why Jews came to the United States to be able to live freely. Sarah McConnell: Did Jefferson reciprocate Levy’s affection for him and did he have high regard for Jews in the United States? Melvin Urofsky: Jefferson had not a high regard for Judaism as a religion. He was not antisemitic in that he did not have prejudice against individual Jews. But he thought that Judaism as a religion was archaic. He said this in private letters, but he was an advocate of religious freedom for the Jews. The Virginia Statute applied not just to baptists and Christians, it applied to everybody. In this I think Jefferson was very sincere. He may not have cared for the religion of the Jews, but he did believe that they had the right to practice that religion without any interference by the state. Sarah McConnell: How did he think Judaism was archaic? Melvin Urofsky: Jefferson was a Deist who believed in a god but a god who was sort of akin to Newton’s watchmaker. He wound up the universe and then he didn’t get involved. Any religion which involved the rituals of praise to this force, of fear of this force struck Jefferson as archaic. He had no more use for Roman Catholicism than he did for Judaism. That was just his own religious beliefs. He went through, there’s a very famous book called the Jefferson Bible in which he went through the New Testament and excised what he considered all the superstitions and left just Jesus’s ethical statements. Sarah McConnell: So Jefferson was not a contemporary of Levy. Jefferson had died by the time Levy was achieving his full stature as a careerist? Melvin Urofsky: Right. Jefferson died in 1826 on July 4th. He died greatly in debt and Montic ello and all it’s appurtanences including its slaves had to be put on the auction block. In fact, it would be another 30 or 40 years before his grandchildren could erase his debt. But Monticello went on the block, it was bought up by a pharmacist in Charlottesville, tried to turn it into a silk worm farm. And then some friends of Jefferson wanted to buy it back for the family, for Jefferson’s daughter and her children. Melvin Urofsky: They weren’t able to raise the money on it but Levy heard about it. In fact, he was approached to make a contribution for it. When he heard about it he decided that he would buy Monticello. He went there from Washington DC where he had just given a statue of Jefferson to the people of the United States. It is the only privately funded statue in the capitol of the United States. Sarah McConnell: Where did he get the statue? How was it commissioned? Melvin Urofsky: It was made in France. He commissioned it by one of the great sculptors of France. Had it shipped over. There are two copies of it. One is in City Hall in New York which is the plaster model that was used for it but the marble version is in the capital in Washington DC. Sarah McConnell: Was the purchase of Monticello the move of a very shrewd real estate magnate, which he indeed was, or was it his love of Jefferson and his desire to showcase his house? Melvin Urofsky: It has to be his love of Jefferson because he never made money of Monticello. In fact, he and his nephew both poured loads of money into Monticello to maintain it, to preserve it. This was an act of one might almost say piety. And while he lived there, he never closed Jefferson’s house to pilgrims who would come there. That part of the year when he wasn’t in New York or he wasn’t at sea. Usually it would be in the summer. Melvin Urofsky: It’s much nicer up on the hill in the Summer than it is at other times of the year. Fortunately Jefferson left very detailed plans regarding gardening, the architecture of the house, different things. Uriah and his nephew both tried to restore Monticello as best they could. But on the eve of the Civil War, Uriah Levy had managed to get Monticello back in as good a condition as it had ever been in Jefferson’s lifetime. Melvin Urofsky: Uriah left a very complicated will that he wanted to leave Monticello to the people of the United States to be a home for orphans of sea men. In the 1860s, there were several problems one of which was that Monticello was behind enemy lines during the war between the States. Second, the laws on inheritance and bequests favored active use of property, not this sort of charitable use. Melvin Urofsky: He had been a very shrewd businessman, had built up this fortune, which is how he was able to finance Monticello and the family wanted to get their hands on it. So they broke the will and then after the war they broke the will in Virginia as well. Sarah McConnell: So by the time the Jefferson Foundation acquires the property or has given the property in 1923, the property is in good condition? Melvin Urofsky: It’s in excellent condition. But Levy left his fortunes and that he lost a great deal in the post war depression following World War I. He had been under a lot of pressure to sell it to the government of the United States. There was a campaign to turn Monticello into a national monument. Then comes World War One and people are not interested anymore. Then the Thomas Jefferson Foundation is put together after the war and Levy sells it to them. When he signs the papers, he says it’s the saddest day of his life and he dies just a few months later. Sarah McConnell: The Jefferson Foundation for many years refused to recognize the role the Levy family played in saving Monticello. Is that the case? Why do you think that is? Melvin Urofsky: Yes they did. There were two reasons for this. They saw their mandate to preserve Jefferson’s legacy, Monticello is to be a shrine to Thomas Jefferson. They weren’t really interested in anything that happened between the time of Jefferson’s death in 1826 at the time they purchase it a century later. And then there were some directors who unfortunately as the record shows were antisemitic and didn’t want to have anything to do with a Jew at Monticello. Sarah McConnell: How’s Uriah Levy remembered today? There was a World War II destroyer named after him. Melvin Urofsky: Actually, there’s been quite a bit written on him over the last several years. There’ve been two books and what I understand is an exceedingly beautiful chapel at the Naval Academy. A Jewish chapel has been open and it’s called the Uriah Phillips Levy Chapel. It has gotten just rave reviews for its architecture, it’s spirituality and everything. He’s being remembered quite a bit. There was a smaller chapel which I think may still be in existence down at the Norfolk Naval Base that was open many years ago and was also named after him. Sarah McConnell: Melvin Urofsky is a Professor Emeritus of History at Virginia Commonwealth University and the author of the Levy Family and Monticello, 1834 to 1923, Saving Thomas Jefferson’s House. Coming up next, the Jewish roots of the Sorcerer’s Apprentice. Beginning in the Middle Ages, the legend of the Golem appeared among Jewish people. The Golem one was a mythical creature made of mud created to save the Jews from their oppressors. Our next guest is David Metzger, a professor of English at Old Dominion University. He says the legend of the Golem still resonates with Jewish writers today. David Metzger: Well, a Golem is an artificial being created from the earth. Some people call it the Jewish Frankenstein. Starting in the Middle Ages and then on, the word Golem becomes associated with these artificial beings made from earth. Sarah McConnell: Was there a certain procedure for making a Golem? David Metzger: Yeah. I was trying to think in terms of the basic materials, you need some earth, some water. In some stories you need a piece of paper on which you’ll write the name of God and then you will place that in the mouth of the Golem and it’s precisely that which animates the Golem. Sarah McConnell: The Golem is clearly a mythical creature. No one at any point through time ever thought there are Golems out there. David Metzger: I guess I’d probably say maybe people didn’t believe in the Golem, but I do think that there’s evidence that people hoped for a Golem. Sarah McConnell: When did the legend of the Golem originate? David Metzger: Well, the Golem that is of interest to modern writers originated around the second half of the 18th century. And then all these Golem legends that were associated with different Rabbis started to become focused or associated with a single Rabbi, Rabbi Judah ben Bezalel of Prague. Sarah McConnell: What sort of powers was a Golem believed to have? And I guess this is hard to answer because as centuries went by, the so called Golem took many different forms and had many different powers depending on who was telling the legend. David Metzger: Right. In some of the stories the Golem just keeps on growing and that’s actually then the beginning of the Golem stories that suggests a Golem might be nice to have to do some things around the house, a Golem might be nice to help protect you against your enemies, but the problem is they keep getting bigger and bigger and bigger and what are you to do with them? When they lay around the house, they really begin to lay around the house. If you have this creature that keeps growing and growing every day, at some point it’ll become dangerous living with it. You might ask it to go get a pale of water and it turns around and smacks somebody in the head. Sarah McConnell: Why is this reminding me of The Sorcerer’s Apprentice and the broom that won’t stop? David Metzger: Well, because there’s actually a Golem story about Rabbi Loew’s wife who is just sick and tired of going to the well to get water and she thinks, well, we’ve got this Golem and the Golem isn’t doing anything. Why can’t the goal and go get some water? Well guess what? She forgets to tell the Golem to stop. The Golem spends all day putting water in this basin and she comes home and the house is flooded, there’s water out in the street and The Sorcerer’s Apprentice takes that Golem story and turns it into a broom. Sarah McConnell: Who borrowed from the Golem and was inspired by the Golem to create The Sorcerer’s Apprentice? David Metzger: I think it was Goethe who wrote the poem The Sorcerer’s Apprentice and then The Fantasia story was taken up from Goethe’s rendering of the story which he also got from some German folk tales as well. Sarah McConnell: If the Golem is just a legend of sort of Paul Bunyan, King Kong or Superman creature, how did it come to be meaningful to Jews early on in the early centuries? David Metzger: I think the Golem legend takes on a significance mainly in the late 19th century. It was actually as a response to a blood libel accusations that were continuing in Eastern European countries. Sarah McConnell: What is blood libel? David Metzger: Blood libel is an accusation of I know you killed my kid you dirty Jew because you need an innocence’s blood in order to mix with the matzoh to make your unleavened bread for Passover. Some people may recognize the blood libel story if they’ve had an English lit class because Chaucer’s Prioress tells a blood libel story, a very famous one that occurred in 1255 associated with Hugh of Saint Lincoln. Sarah McConnell: You’re saying not only was there this fictitious story, let’s say in Chaucer, but there was a period around that time where these kinds of beliefs and accusations were held by Christians and non Jews and it was devastating to the Jewish population? David Metzger: Yes. Actually the Chaucer story is based on an actual blood libel accusation and Hugh of Saint Lincoln was beatified. Sarah McConnell: If the Jews were accused of being monsters, how was the Golem who was in a sense of monster, a response to the accusation? How did this mythical creature assuage this feeling of desperation on the part of the Jews? David Metzger: In response to an absolutely irrational construction of the Jew as this blood drinker, I would suggest that you have the construction of the Golem as a truthful non Jew. After all, the Golem not its creator could go out into the non Jewish community and collect information. Sarah McConnell: How do we reconcile these images of the Golem with Mary Shelley’s Frankenstein? It’s said that Mary Shelley drew on the legend of the Golem for her novel about Frankenstein. David Metzger: Well, if you can imagine, if the Golem is the final demonstration of the power of human comprehension, imagine that that isn’t necessarily a positive thing. That knowledge might turn around and bite us. I think the Frankenstein story takes up that theme of the Golem as the final exam for a Rabbi. The final demonstration of his knowledge and suggests the path toward knowledge also leads to a certain perils or risks associated with it, which leads of course later on to contemporary renderings of robots and such or computers or artificial intelligence. David Metzger: Similar this in a collection that was edited by Judah Rosenberg and published in 1909 under the title Niflaʼot Maharal, the miraculous deeds of Rabbi Loew with the Golem. He actually has the Golem falling in love. It doesn’t know how to love and what it loves it’s better half. After all it’s a woman, not a Golem. The Golem then runs throughout the Jewish community destroying homes, setting buildings on fire and such. Sarah McConnell: What lesson do we take from that or how does that reflect the human experience in some way? David Metzger: I guess that’s what I find most interesting about the Golem stories is that I think we talk about the Golem and where we become interested in the Golem or maybe even people create the Golem in order to talk about what it means to be human when we don’t really know what it means to be human. The Golem, curiously enough, I think is created as a semblance of the human that allows us to explore what it means to be a human who has questions about how to go about the business of being human. Sarah McConnell: Does reference to the Golem persist even now in the most popular Jewish writers of our time? David Metzger: There’s a wonderful novel by Cynthia Ozick called the Puttermesser papers. It was a nominee for the national book award and she has a mayor of New York create a Golem. Actually someone who loses her job in the accounting office because she has been accused of doing a poor job. She creates a Golem who then helps her to campaign to become the mayor of New York. You may be familiar with the comic books of Fantastic Four, one of the characters Benjamin Grim is based on the figure of a Golem. Benjamin Grim is the rock man. Also you have a Golem moment in the Incredible Hulk comic books. The Incredible Hulk for some reason is in eastern Europe. Sarah McConnell: Well, he’s near the site of the Golem museum in Prague. David Metzger: Exactly. And guess what a young girl mistakes him for? The Golem. At that point too the Benjamin Grim character, The Thing, tells us that he is Jewish. Then the Golem becomes for modern Jewish writers this figure of the modern Jew who seems to have two selfs. You have your Golem self that you send outside to do the busy work or the Golem side that everyone can see and everyone gets along with and says nice things about. And then there’s this other side that is not the Golem of society but the Jewish side. One of the things that attracts modern writers to the idea of the Golem is that they are still something that’s beyond our comprehension. There’s still a place for inexplicable to happen. Sarah McConnell: David Metzger is a professor of English at Old Dominion University. Major support for With Good Reason is provided by the law firm of McGuireWoods and by the University of Virginia Health System, a national cancer institute designated Cancer Center, researching and developing the treatments of tomorrow’s, uvahealth.com. With Good Reason is produced in Charlottesville by Virginia Humanities. Our production team is Alison Quantz, Elliot Majerczyk, Kelley Libby, Cass Adair and Alison Byrne. Jeannie Palin handles listener services. For the podcast or for a transcript of the show, go to withgoodreasonradio.org. I’m Sarah McConnell. Thanks for listening. Based on Netanyahu’s remarks this week re the Golan Heights (“He’s done it again…another miracle…”), the reigning contemporary golem is Donald Trump. But pull aside the curtain and it’s AIPAC.